The super cool print company and business card specialists over at Moo are all set to buy up equally cool home page creator Flavors.me, so they can ensure we have the best possible visual identity both online and offline. London-based Moo allows you to print all kinds of things for you or your business, like stickers, labels and quirky accessories, but it’s most popular for its quick and customisable business card service, whether you’re looking for something professional, glossy or a fun mini card. On the other hand, Flavors.me is solely an online service, which allows you to create really great looking home pages and customise pretty much every element of it. This isn’t the first time Moo has brought the online world offline through it’s products, back in January the company set up a service to turn your Facebook timeline into a real business card. 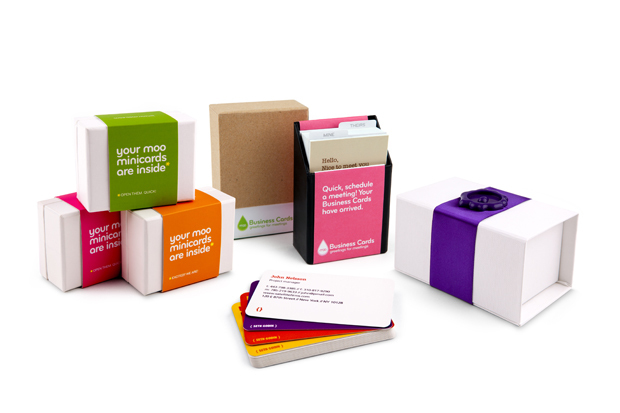 According to a press release from Moo, Flavors.me will initially sit alongside the website’s current suite of physical products, business cards, postcards, greeting cards, etc, as a standalone product, but in the future the two businesses are set to become much more closely aligned.